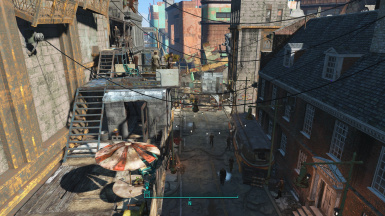 Overhauls Goodneighbor's layout to add some life and make it feel like a dangerous inner-city settlement with scavers, drug users and crazies. This is a WIP. 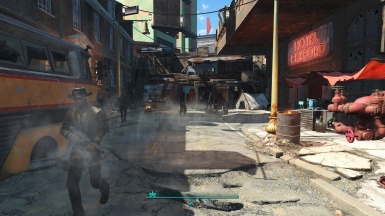 This mod moves or disables a lot of objects in the goodneighbor worldspace, and adds new items, NPCs and animation markers. It adds a doctor with a trailer for him to operate from, and a rooftop area with homes and areas for people to hang out and congregate. 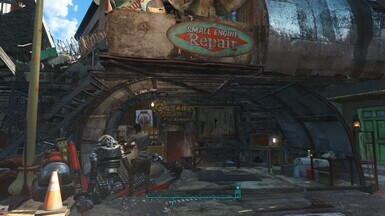 I altered the existing shacks and areas around them to feel more like people have settled there. 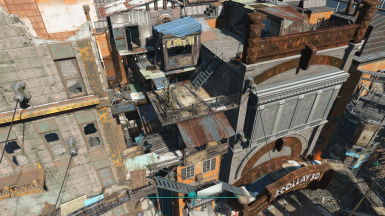 There are multiple stairways to access the rooftop area and all NPCs will sandbox and travel to these new areas. 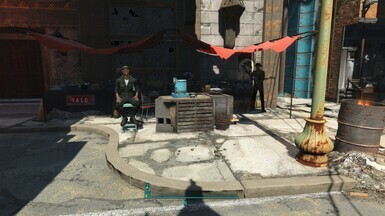 Rufus now has a "market stall" near the entrance to Hotel Rexford that he uses to sell his junk from.He hangs out there for most of the day until he visits The Third Rail at night. 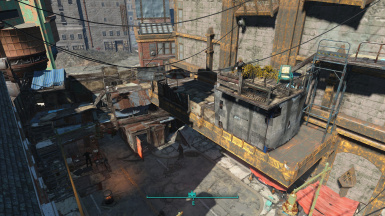 I added animation and furniture markers throughout the area,walkways,and alleyways to make it feel like the residents live in, and hang around within the walls of goodneighbor. 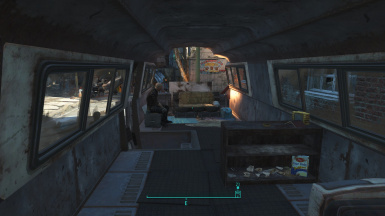 Some citizens have made certain areas drug den hangouts, and some will loiter and watch as others pass by in high traffic areas. I also added some clutter to Daisy and Kleo's shops to make them feel like real vendors. 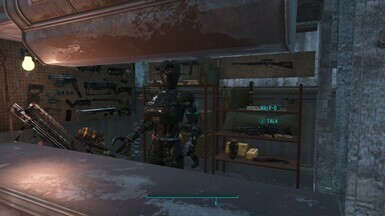 There are currently 4 custom NPCs each with their own AI packages and assigned homes. They only have generic dialogue at the moment and function mostly the same as the generic NPCs but with customized packages. There is one cottage apartment interior right now and a few other inaccessible doors that will lead to interior cells in the future. The cottage apartment is not player owned and doesn't contain much of interest right now, that will change with a future update.This is definitely a WIP, but my idea of complete keeps changing, and i thought that it adds enough to goodneighbor as is for it to be shared. - More stuff will be added to the cottage apartment. - There are a few inaccessible doors added, they will lead to interior homes and shops for new npc's as I can work on them. - NPCs will get dialogue and more details added to them. - A player home will be added. 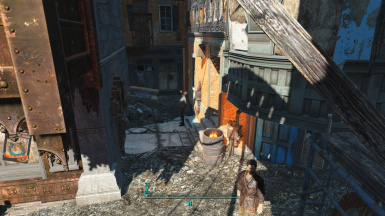 I didn't edit anything outside of goodneighbor. 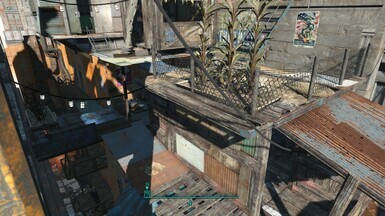 It is it's own worldspace so the edits did not affect the outside of goodneighbor's gate or the alleys on either side. 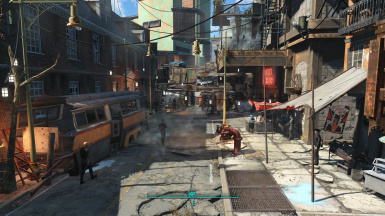 This means anything editing downtown should be compatible as well as the Downtown Boston Pre-vis fix. 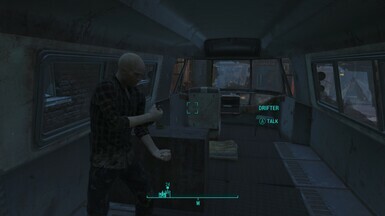 I also did not regenerate the pre-combineds or pre-vis for goodneighbor yet, It is definitely playable by my own standards but a file with the PreCombs/PreVis is at the top of my priority list.I'm open to making patches when I have the time if anyone leaves a comment detailing any mods that are conflicting. I'm always interested in hearing anyone else's experience with this mod installed and if it clashes with any other mods. I personally use Horizon and haven't found any need for a real patch. Keeping it above horizon doesn't change anything, and most of the items I added are owned by others so as far as I'm concerned it doesn't "break balance". Again, I'm happy to hear opinions and other's experiences with the mod. I owe a whole lot of thanks to Jenncave and Damanding for their massive help in figuring out details. I would not have been able to finish this mod in it's current state without either of them. Also thanks to Thirdstrom and Red Rocket TV for advice and tips. Everyone in Jenncave's hangout discord channel were very helpful, and most importantly the author's that allowed me to use their assets to make this. Also thanks to the developers of xedit for creating such an amazing tool.